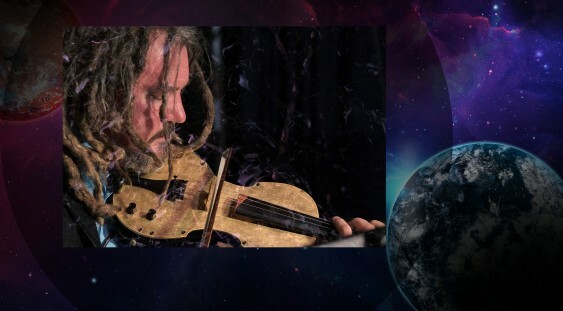 An incredible evening with electric violinist Rupert Guenther sharing a kaleidoscope voyage of sound, music, and stories, with violin in ways you’ve never heard before. Using live looping, Rupert is able to create incredible symphonies of sounds with his electric violins, as he weaves together layers of music, personal stories and quests, with influences as diverse as ancient Mesopotamia, electronics, classical music and opera, world music from many cultures, to the roots of blues, rock music, experimental soundscapes, and just plain far-out stuff! “The solo concerts are an exhibition of my latest musical works, to really let audiences in on the creative inspirational process and the wonders of the electric violin in a context rarely seen,” Rupert explains. “I use sound like a painter uses colour, and these concerts are the distillation of important threads and experiences in a human life on earth, told through music and words. Rupert Guenther is an electric violinist playing concerts of his own music in Australia, UK. Europe, and the USA, ranging from classical to ambient/world music and blues, and releasing over 27 albums of his own music since 2003. Training as a virtuoso concert violinist in Vienna, Austria, his deep spiritual feeling for music has fuelled his musical passions over a diverse range of musical styles since a young age. Formerly a member of the Vienna Chamber Opera (Vienna, Austria), he has been sideman to stars such as Beatles’ producer Sir George Martin, Olivia-Newton John, Demis Roussos, John Farnham, Anthony Warlow, Austrian TV heart-throb Tobias Moretti (of “Inspector Rex” fame the detective not the dog! ), and more recently Hollywood singer songwriter Lisbeth Scott.